It is really crunch time for me now, getting the last of the samples done for the class schedule, which I said would be out by August 20th! 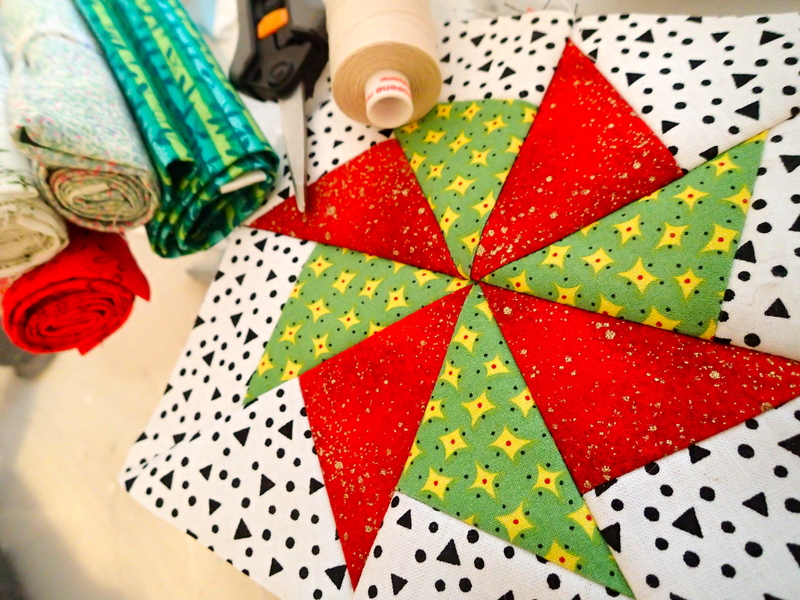 The pin wheel block above is a part of a Christmas project class. 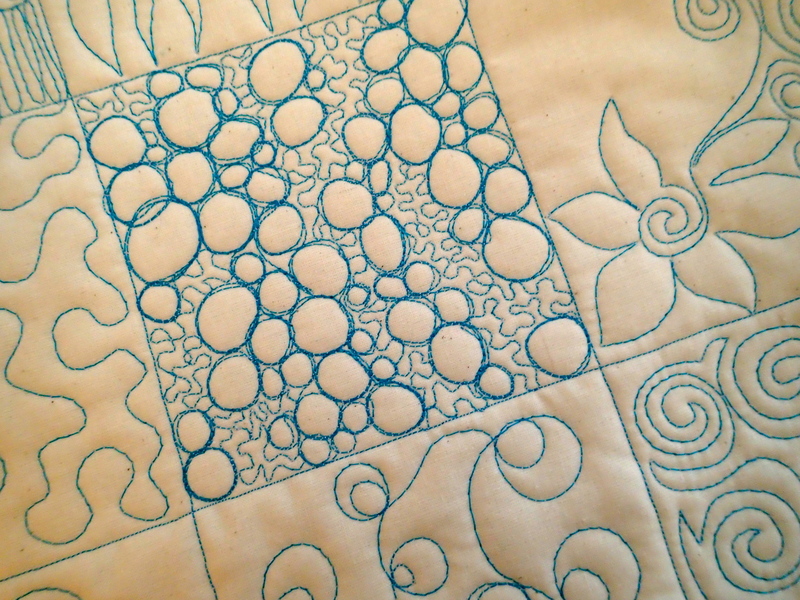 One of the classes that I am really looking forward to teaching is *Fun with Machine Quilting and Binding*. I’ve also been painting the classroom. 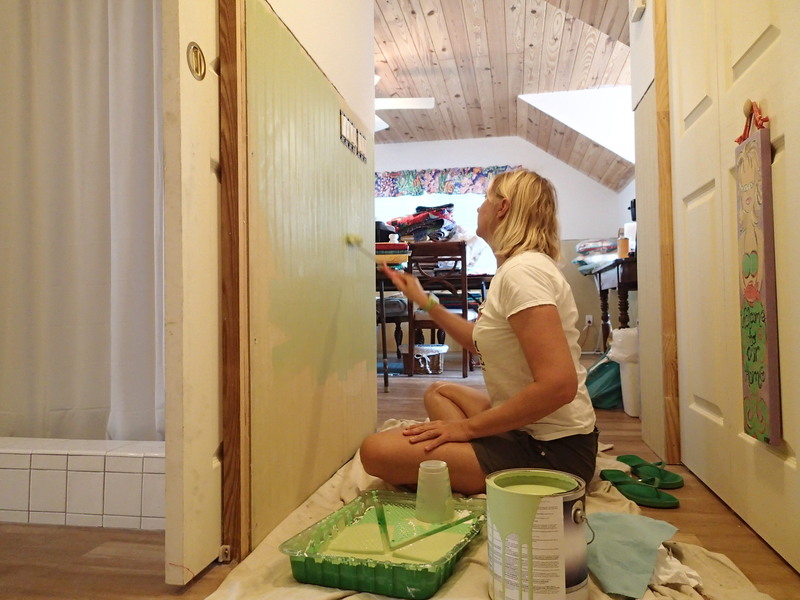 Did you know painting walls is one of my LEAST favorite things to do? It is coming along……slowly, very slowly…. After the newsletter goes out to the subscribers, the classes will be posted under the *Classes* tab at the top of the main page. Check the website or your email box next week to see what creative things we have planned at Bahama Dawn!